Spring Loaded Technology on Tuesday used a press conference to show what its Levitation knee brace means to the people who use it --especially to users who suffer from osteoarthritis. The manufacturer held the media event at its Dartmouth headquarters to announce a $460,000 loan from the Atlantic Canada Opportunities Agency’s Business Development Program, and the launch of a new add-on product for the Levitation. But the highlight was a video and speech by Jane Grover of the Annapolis Valley, who explained what the knee brace – which not only stabilizes the joint but adds to its power – has meant to herself and her granddaughter. Grover, 64, said the Levitation knee brace has helped her granddaughter Kelsie, who has muscular dystrophy, continue to enjoy exercise and outdoor life in spite of her disease. So, when Grover found out she herself needed a second knee replacement, she opted for a Levitation knee brace instead. 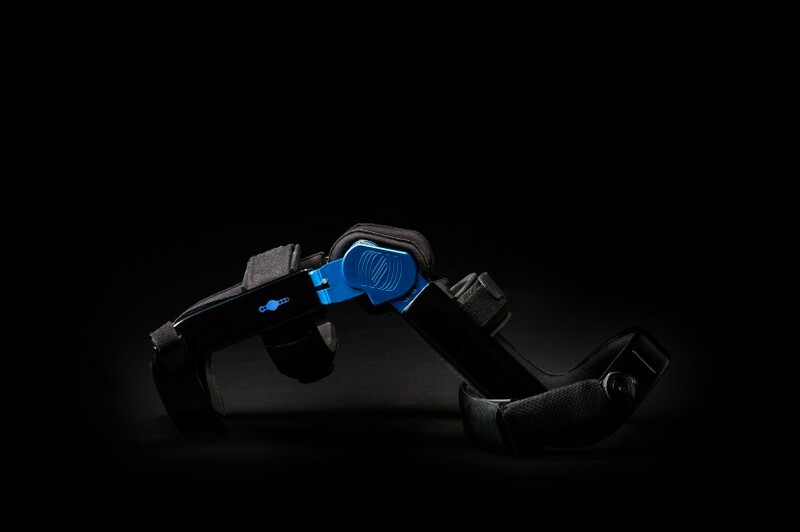 Spring Loaded began six years ago when Chris Cowper-Smith (now the CEO) and two co-founders set out to design a knee brace that would store energy when the knee joint is bent and release it when the leg is straightened. The company launched its Levitation knee last June, and its sales have risen steadily, especially among osteoarthritis patients. “It’s the most attractive market to us because it’s the market where we actually got pull,” said COO Dawn Umlah in an interview. She added that the 14 million people in Canada and the U.S. living with osteoarthritis have no other suitable alternatives. On Tuesday, the company unveiled its new Levitation Offloader, an add-on to the knee brace that improves performance for osteoarthritis patients. The statement said conventional knee braces only address a narrow range of arthritis cases--uni-compartment tibiofemoral arthritis--which account for less than 4 percent of knee arthritis cases. Spring Loaded said its knee brace is the only one capable of reducing forces in all three compartments of the knee. The company will use the ACOA funding to expand its manufacturing capacity and increase its output. It has increased its staff 40 percent year-on-year and now employs 35 people, said Umlah. She added Spring Loaded is now raising equity capital, though she declined to say how much. Spring Loaded is one of three Nova Scotia life sciences companies to announce loans from ACOA’s Business Development Program this week. Adaptiiv, formerly 3DBolus, announced it has received funding of $328,943. The company has developed software that works with 3D printers to produce a personalized bolus — a plastic fitting used in radiation therapy. The company recently announced a distribution deal with CIVCO Radiotherapy. And Sona Nanotech announced a $500,000 BDP loan. Sona, which produces gold nanorods for medical markets, is going through the process of gaining a listing on the TSX Venture exchange.